Rockford is a great, small community located in North Iowa. This rural town with 850 residents offers many incredible amenities for its size. Homebuyers can find several housing options within the city limits or enjoy properties on larger acreage just outside of town. The quaint downtown area has several dining and retail options. There are many beautiful recreational areas for residents to explore the great outdoors. Families appreciate the excellent public school district located right in town. This town offers a lot of charm while being within easy access to Mason City and all of its amenities. Outdoor activities are readily available for the residents of Rockford. There are several fun city parks for the community to enjoy. Central Park (West Main Avenue) is located downtown. This beautiful park is the perfect spot to relax outdoors. It has many interesting historic features, such as an old jail cell, 1918 Bandstand, and War Memorial. It is also the site of the town’s major community events and gatherings. West Park is perfect for families who like to stay active outside. Its amenities include basketball, tennis, and volleyball courts, as well as playground equipment. Enjoy a night under the stars or a round of Frisbee Disc Golf at Wyatt Campground (105 1st Avenue, Northwest). 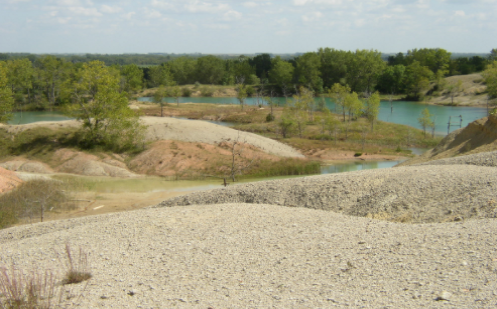 Fossil & Prairie Park Preserve (1227 215th Street) is a beautiful natural spot for residents to enjoy. Incredible fossils can be found at this site that reflect the period of time 365 million years ago when Iowa was an ocean! There are also plenty of hiking trails through the stunning natural prairie areas at the preserve. Nagle Wildlife Area (Red Ball Road) is a 220 acre public hunting area, located only 4 miles north of the city center. Rudd-Rockford-Marble Rock Community School District provides an excellent education for the students in Rockford and surrounding communities. Rockford residents have the convenience of having all grades, kindergarten through 12th, attend a single campus right within the city limits. 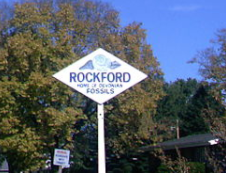 Rudd-Rockford-Marble Rock Elementary and Rockford High School are both located at 1460 210th Street. Rockford and the larger North Iowa area is home to several excellent medical facilities. Primary care is conveniently provided right in town through the Mercy Family Clinic – Rockford (702 East Main). The area’s major comprehensive hospital is Mercy Medical Center – North Iowa (1000 4th Street Southwest, Mason City). This hospital provides full inpatient and outpatient care as well as 24 hour emergency services when needed. Located just south of U.S. Route 18, Rockford residents can easily access any area within North Iowa. When residents need to travel beyond the region for business or pleasure, Mason City Municipal Airport (Highway 122, West Mason City) is located a short drive away.